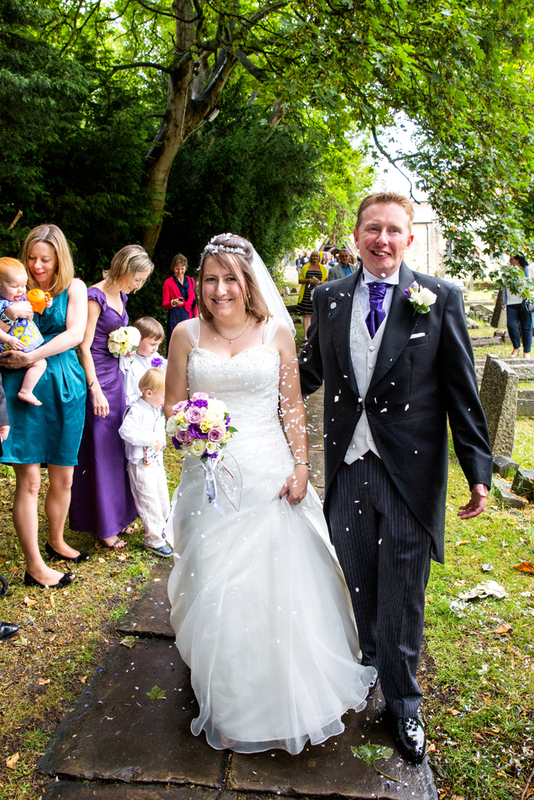 Emily & Phil had a romantic outside ceremony at Friars Court on one of the loveliest summers days. 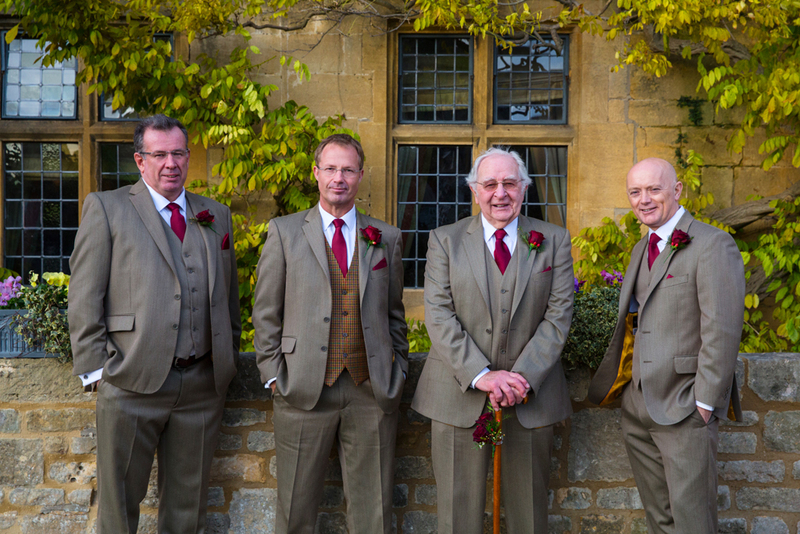 Friars Court is a privately owned family home & has been in the same family since 1917. 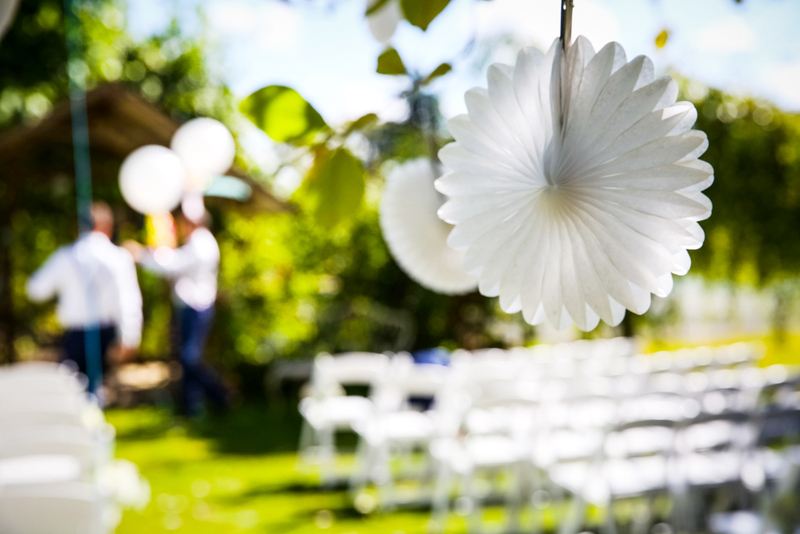 Since it is a private venue you have exclusive use, which is lovely – no running into another bride on your wedding day! 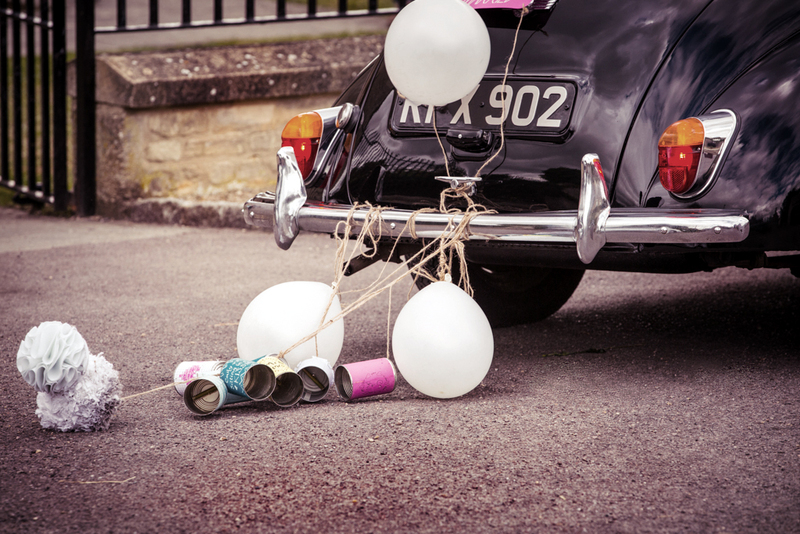 Emily & Phil are both creative & had some fantastic touches to the styling of their day. 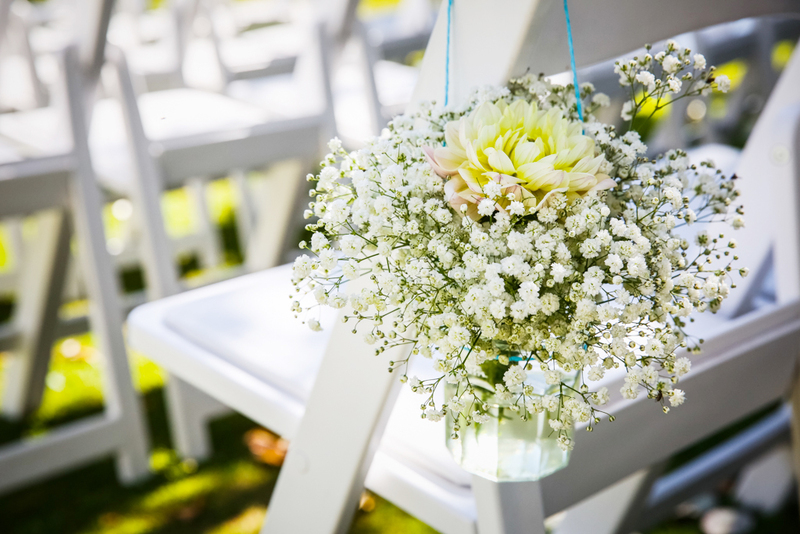 I love the jam jars on the ‘pew’ ends with gypsophila & dhalias & the tissue paper fans hanging from the trees. 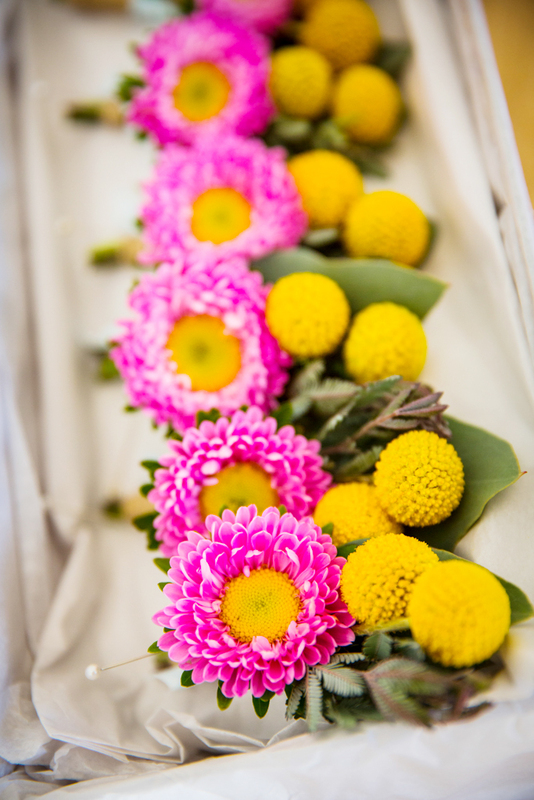 Flowers were by the always wonderful Charlie from The Flower Fairies. 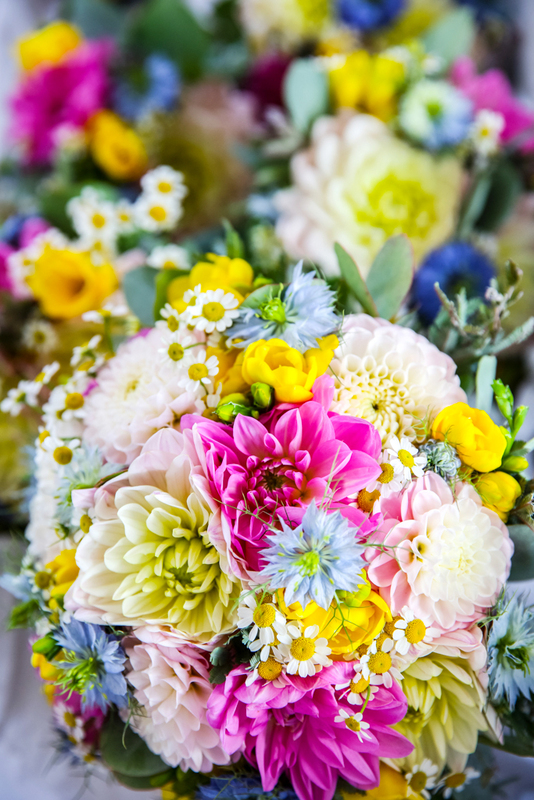 Charlie specialises in beautiful, stylish & unique flowers & are always immaculate. 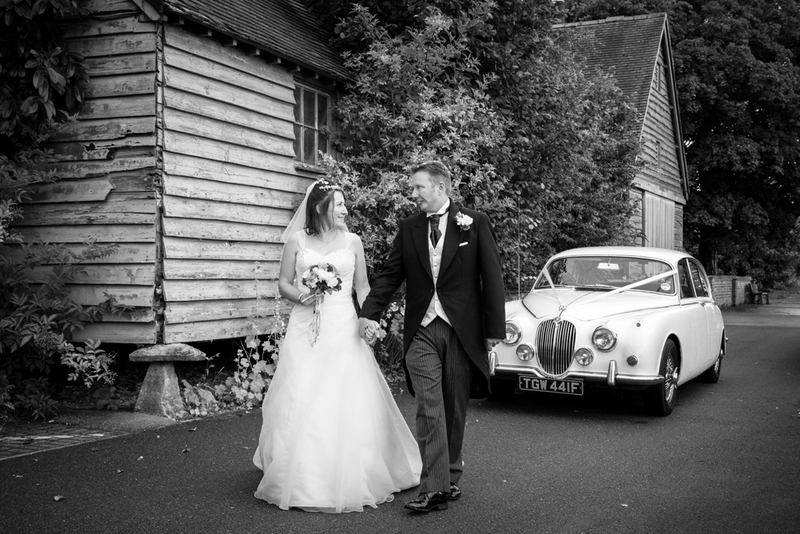 Emily arrived with her dad in a vintage Morris Minor driven by one of the ushers, Tris & the happy couple travelled in style in the same car – with a few attachments! 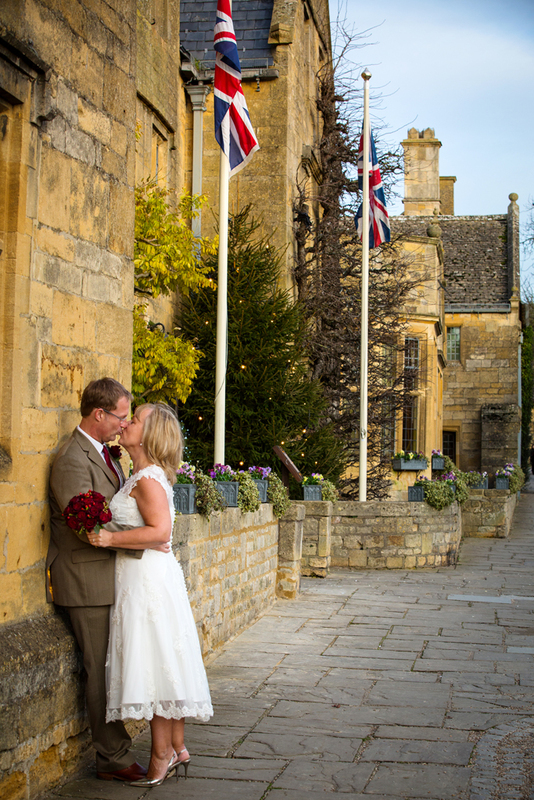 – to their reception venue Great Barrington Village Hall in the picturesque Cotswold village of Great Barrington. 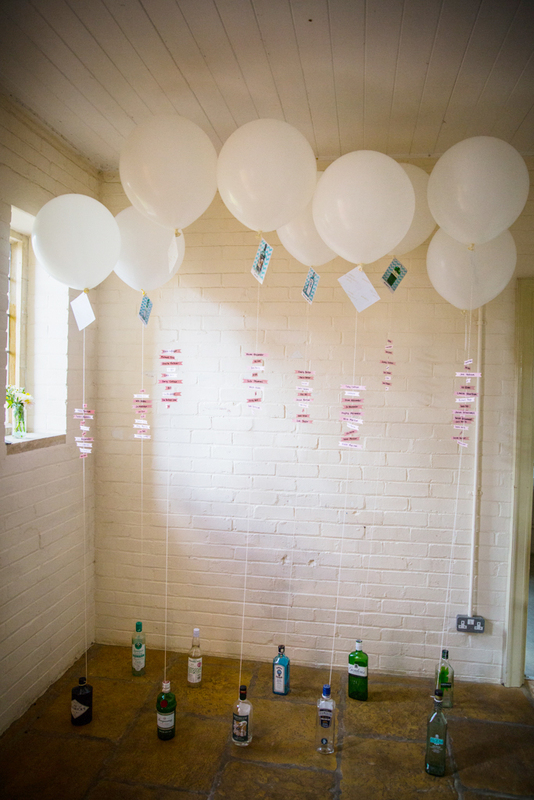 Again, Emily & Phil showed their creative sides with a stylish spin on the traditional table plan with bottles & balloons, origami place card holders & a fab BAR sign! 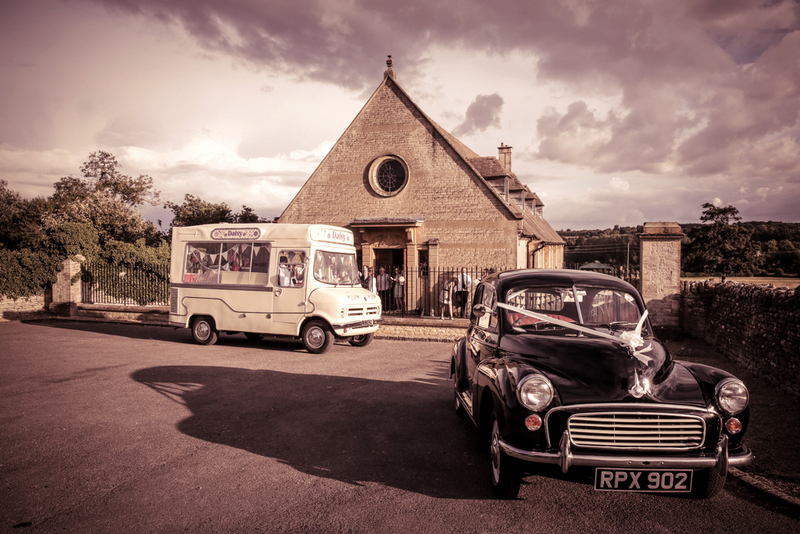 After the wedding breakfast dessert was in the form of ice cream served up from Daisy the vintage ice cream van. 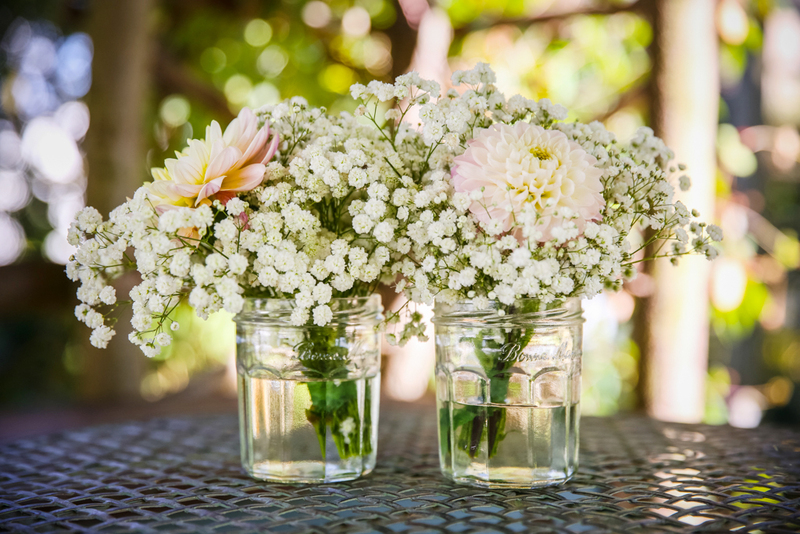 I have been at a few weddings with Daisy & would highly recommend having her at your wedding or party. 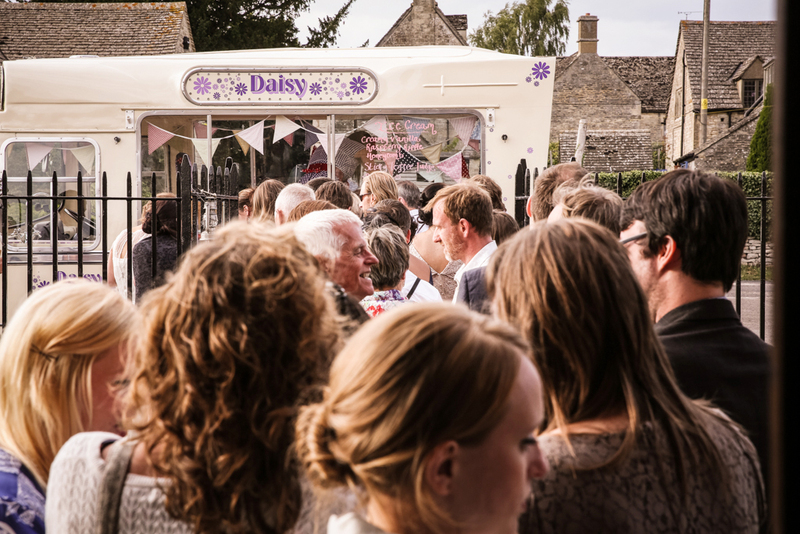 Daisy has a fabulous selection of handmade ice creams in delicious flavours & retro lollies like Fabs, Rockets & Screwballs. Entertainment, apart from the dancing, came in the form of Sam Strange. I have mentioned Sam on my blog before as I a big fan! 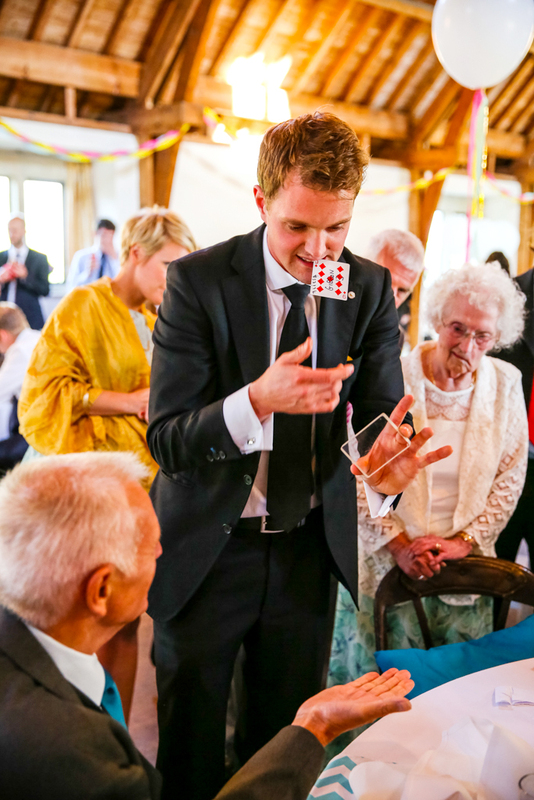 Sam is the coolest magican I have come across & am always astounded by his tricks. 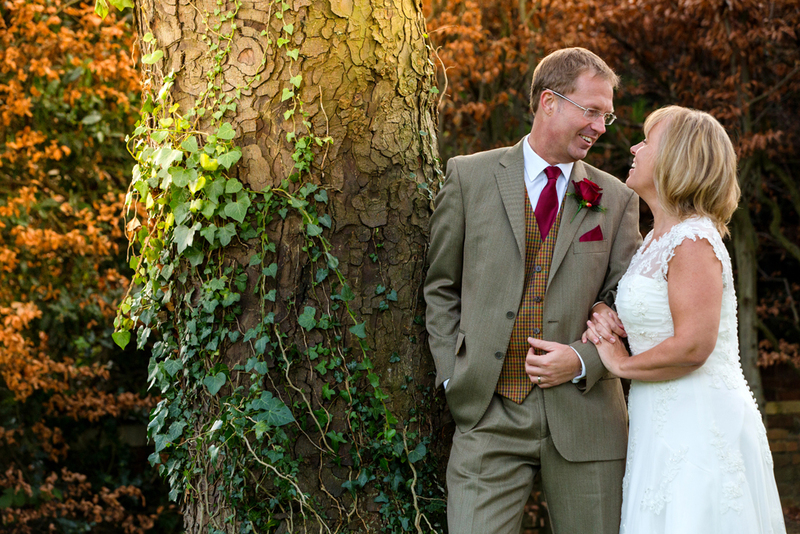 A couple of weekends ago I photographed Angie & Simon to celebrate their big day. 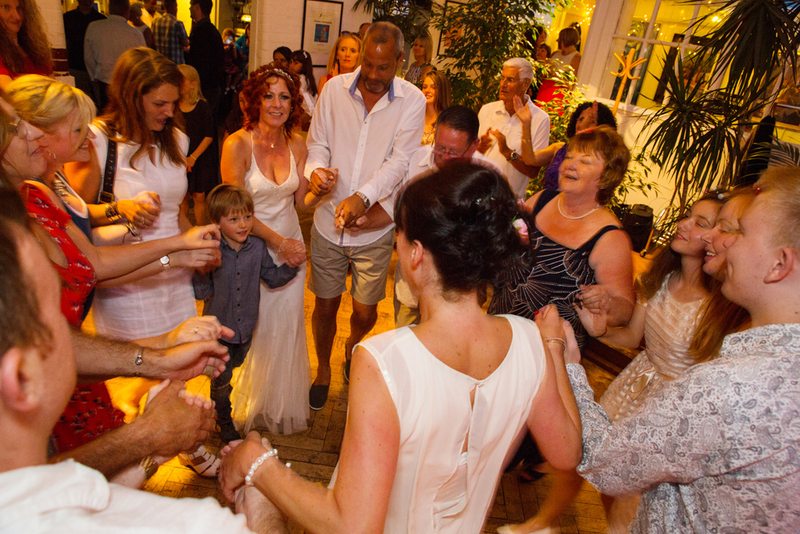 Angie & Simon got married in Zante, Greece & decided to throw a party to celebrate on their return. 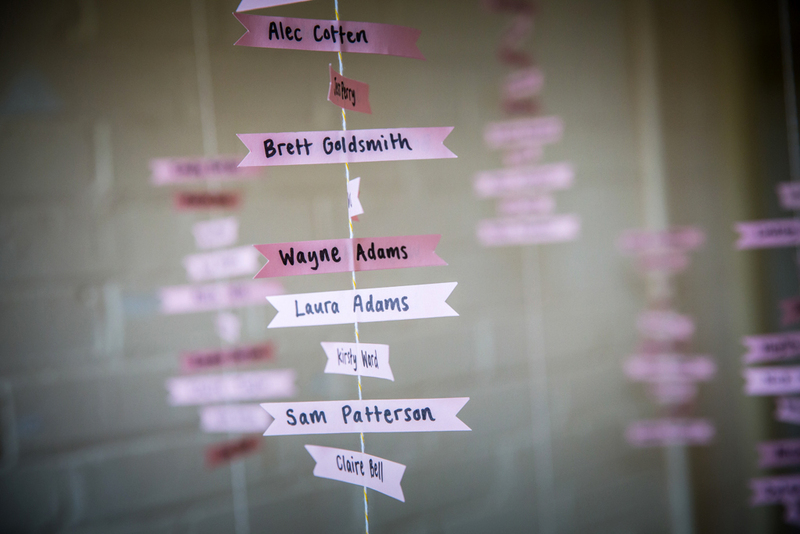 A great idea so family & friends who couldn’t travel to your wedding can celebrate with you. 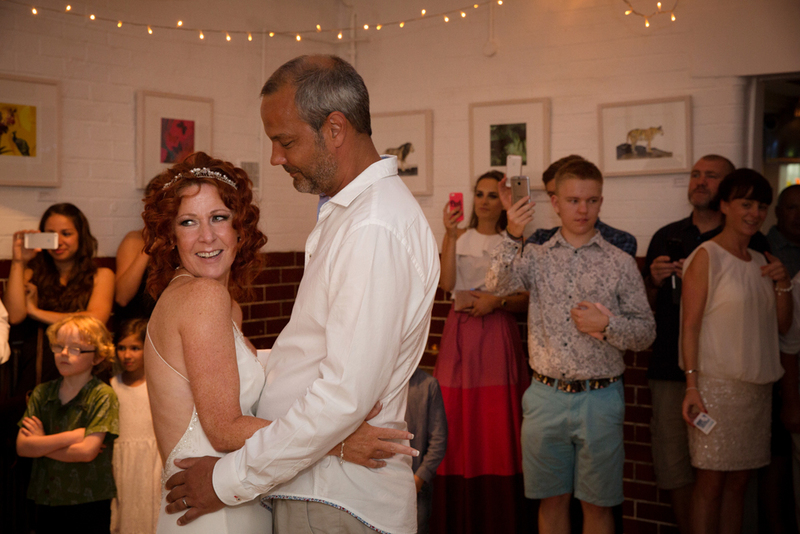 Angie & Simon held their party at The Jam Factory in Oxford. 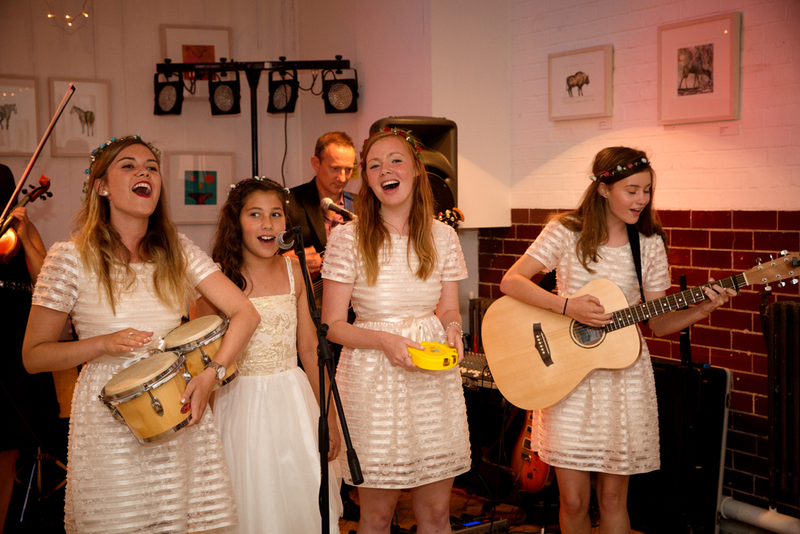 A great party venue The Jam Factory is a restaurant, bar & arts venue in the heart of the city. 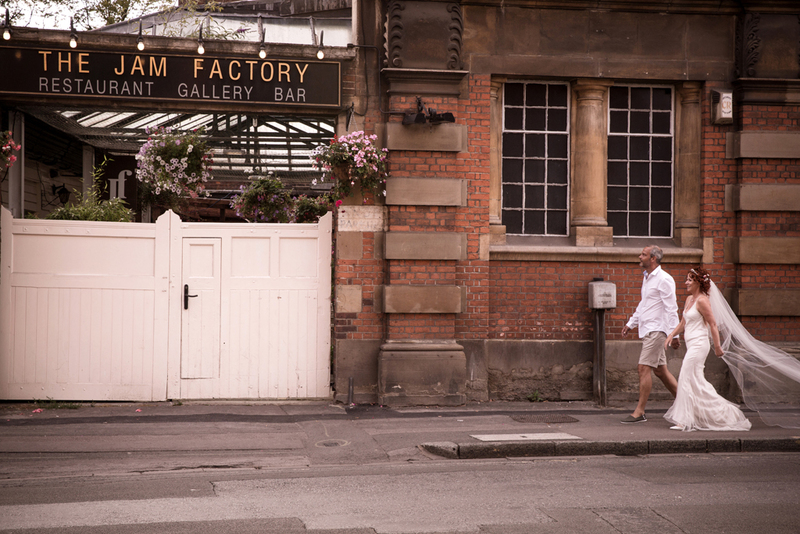 The building has a fabulous, industrial history & was the Frank Cooper jam factory between 1903 & the end of WWII. 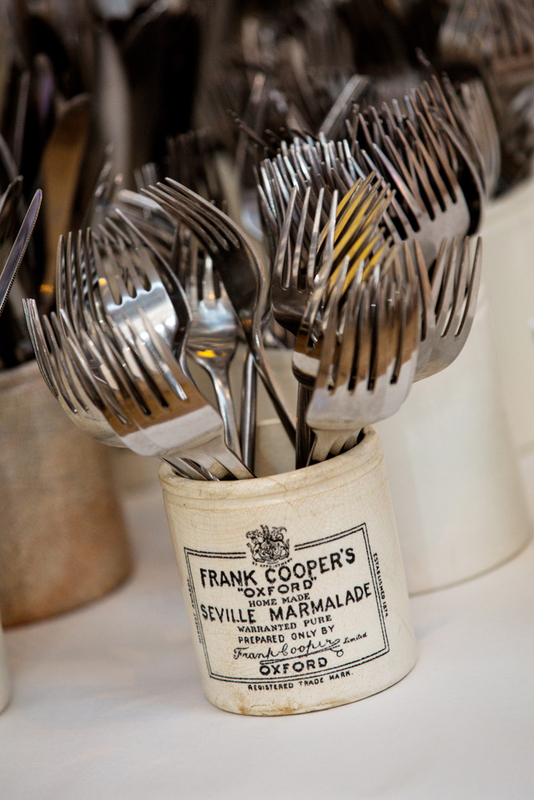 Frank Cooper’s marmalade was especially popular with dons and students in Oxford University. It was taken to Antarctica on Scott’s expedition to the South Pole & a jar was found buried in the ice many years later. 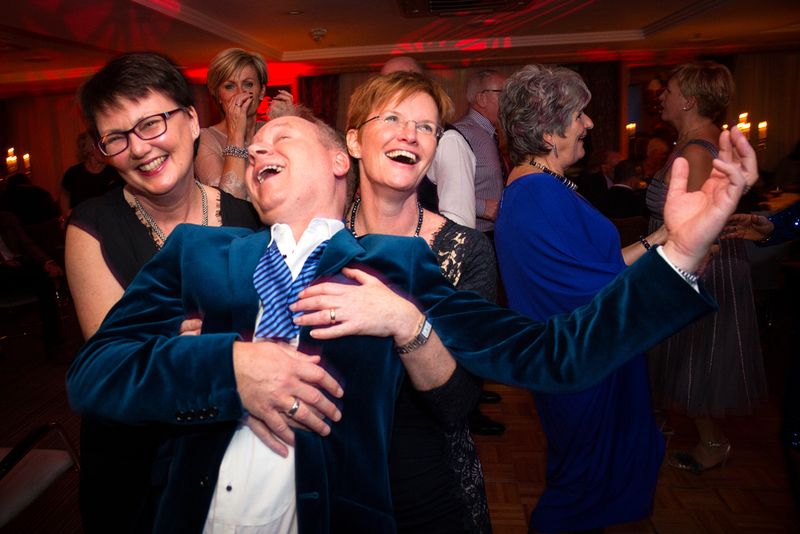 I was really pleased with the images we captured of the party in full people chatting & laughing. 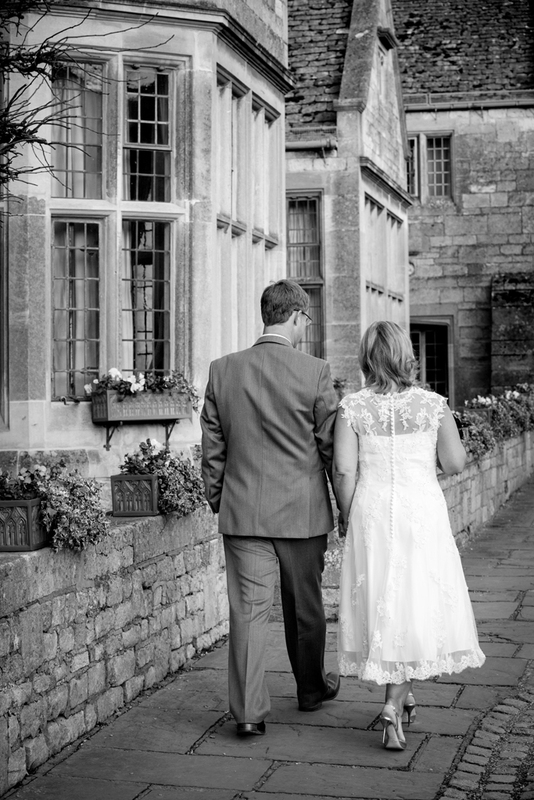 I also was able to get some great shots of the couple around & outside the venue. 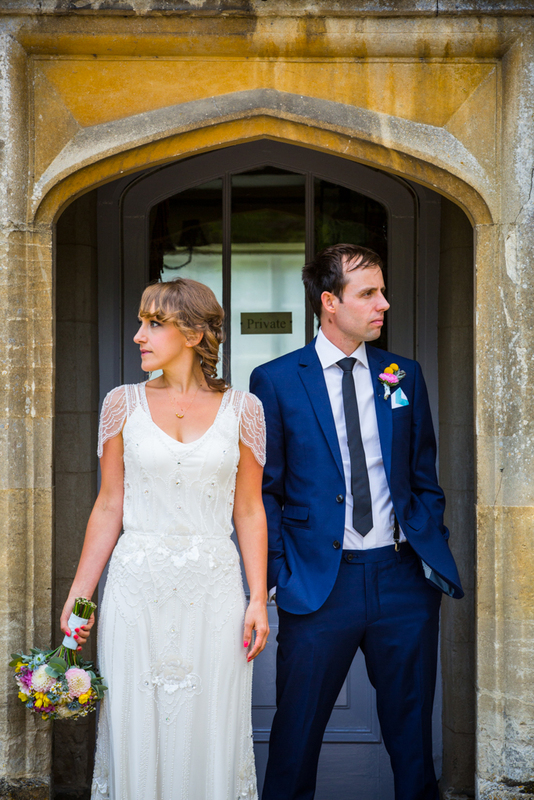 I love the contrast of the bride in her finery against the backdrop of the Victorian brickwork. 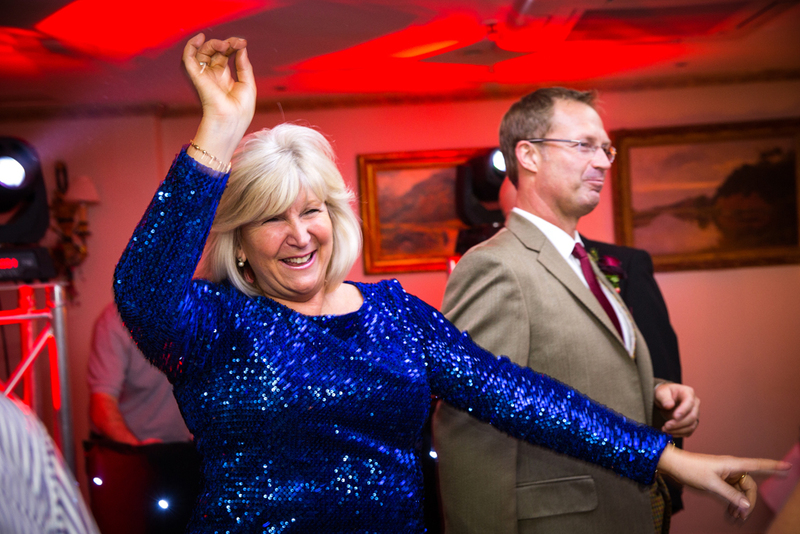 Their daughters performed Ho Hey by the Lumineers for Angie & Simon’s first dance. 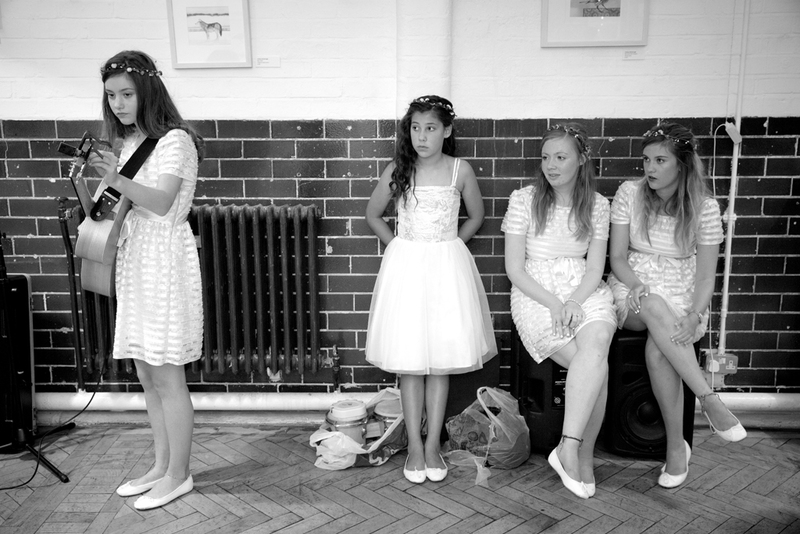 I think the images I took of the girls nervous beforehand to the exhilaration of the performance really captured the moment. 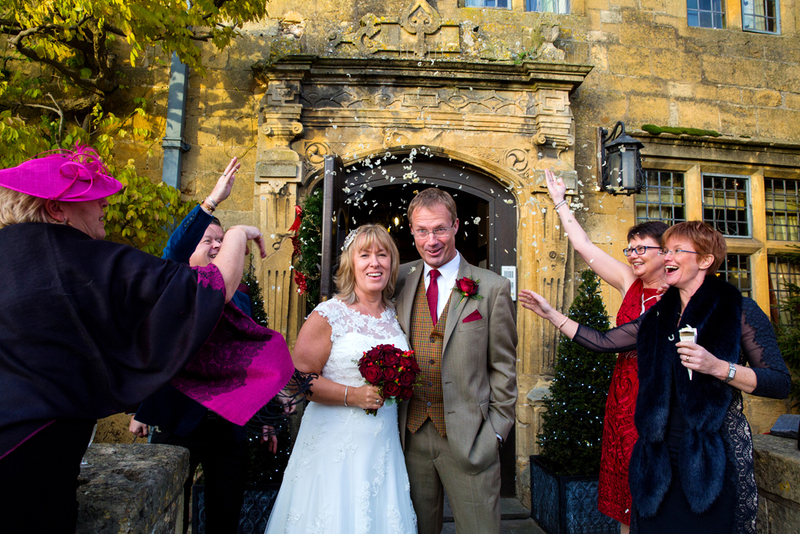 It was a great evening to be part of & I hope Angie & Simon enjoy their sneak peek. Wishing you every happiness for the future. 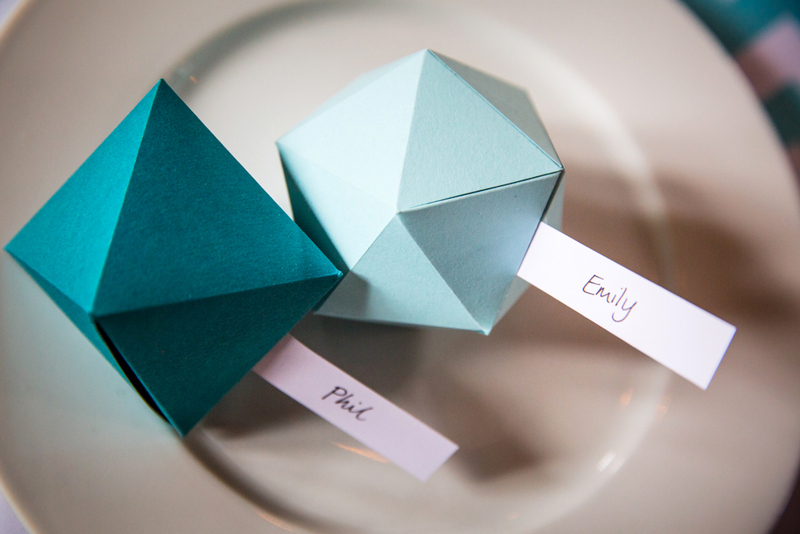 Sarah & Colin’s wedding took place in Didcot & Wittenham Clumps & involved a surprise. 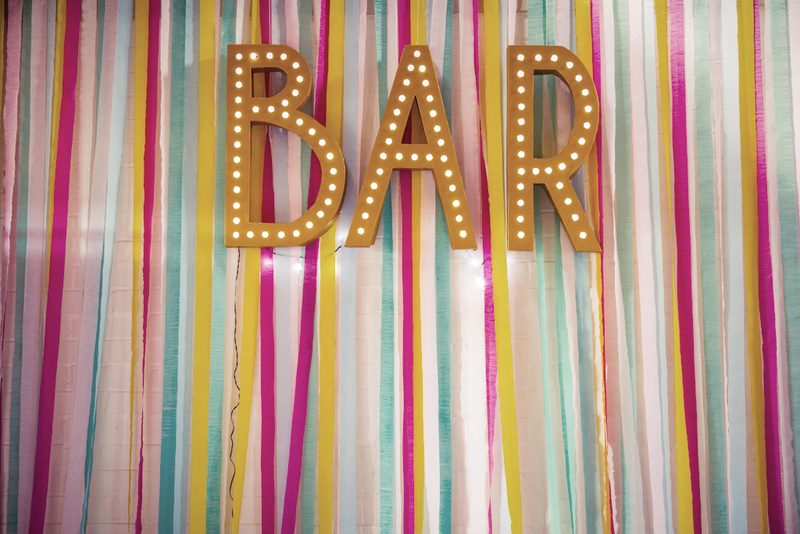 I love a wedding when I am in on the secret! Now, this was a surprise for the bride from her groom & was weather dependant so it was very disappointing when we set off for the wedding in heavy rain. 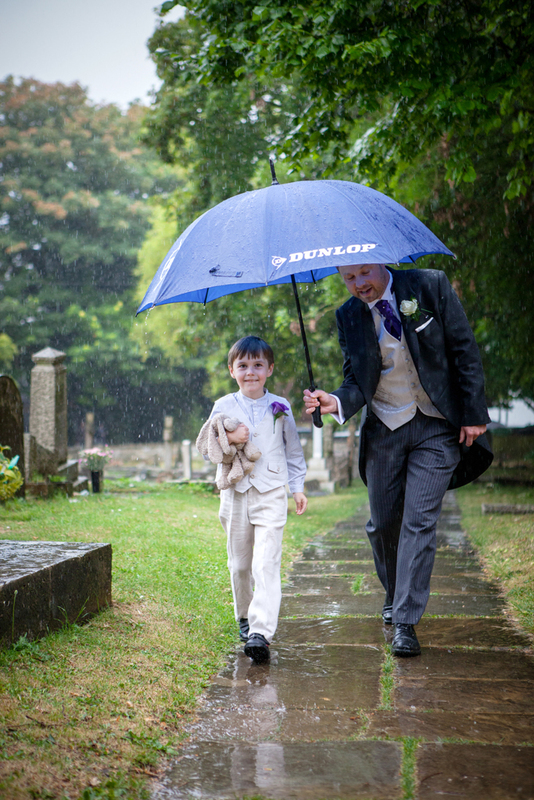 One thing you can count on is the British weather being changeable so we still held out hope….. 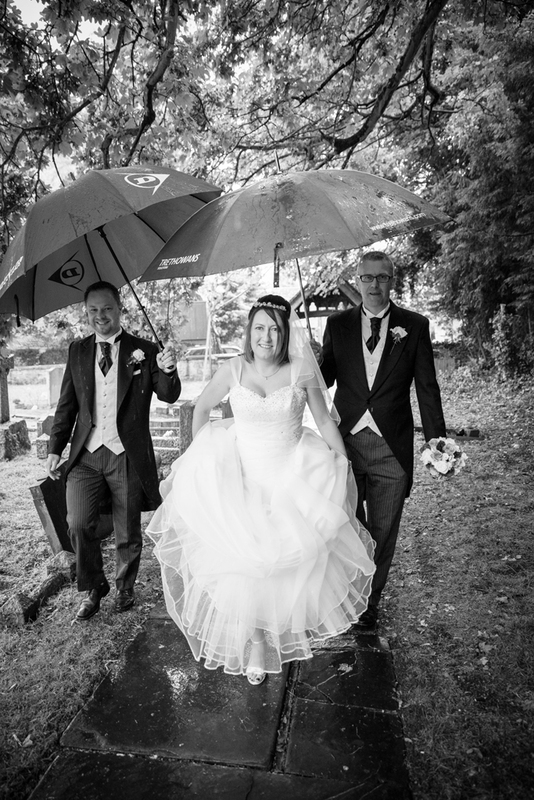 It was really raining by the time Sarah arrived at the church but on their happiest of days a bit of the wet stuff didn’t dampen their smiles. 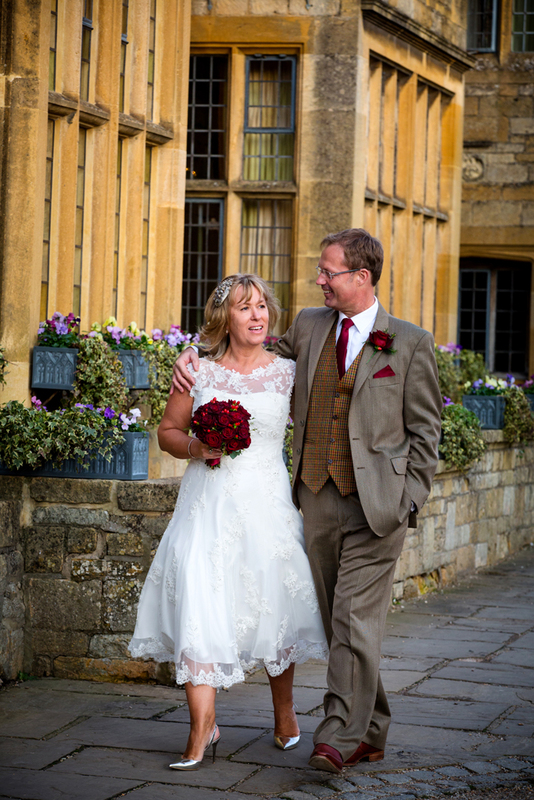 That being said we were all thrilled when we came out of the church to blue skies & sunshine. 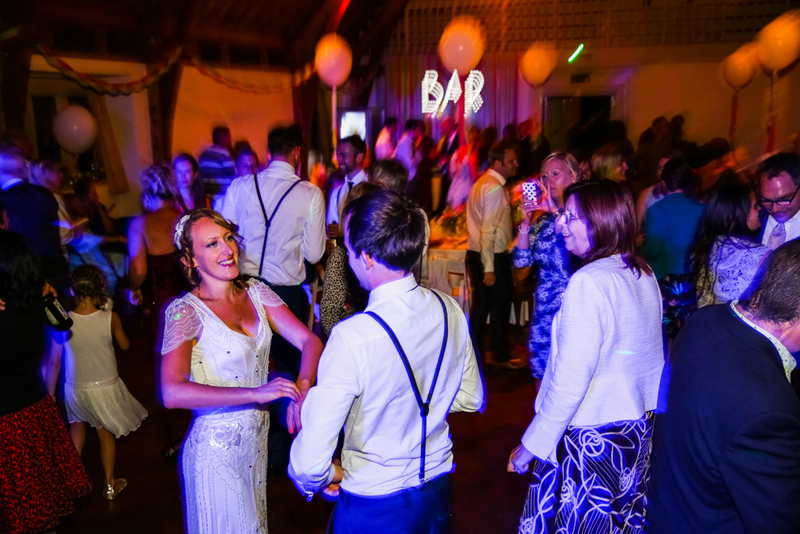 After the service in Didcot, we travelled the short distance to Fison Barn at Wittenham Clumps a great barn venue that I hadn’t photographed a wedding at before. Now for that surprise, by the time the speeches were over the weather had really cleared up so we all made our way outside. 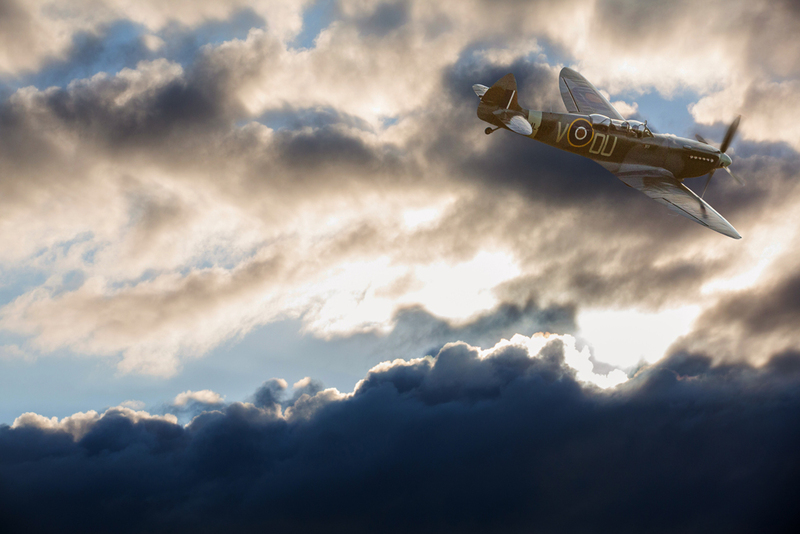 Colin, the groom, had arranged a special fly past for Sarah of a 1940’s Spitfire. 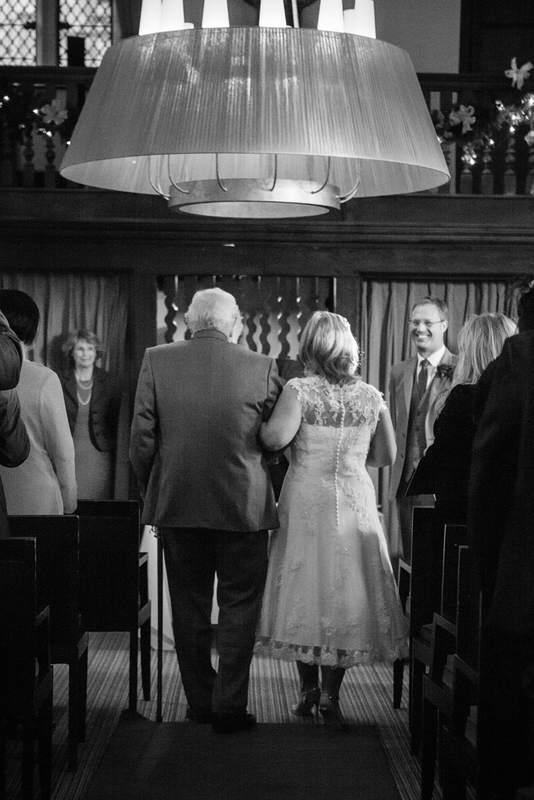 I concentrated on the shots of the plane whilst Kiti kept her lense trained on the Bride, Groom & wedding guests for the all important reactions shots. 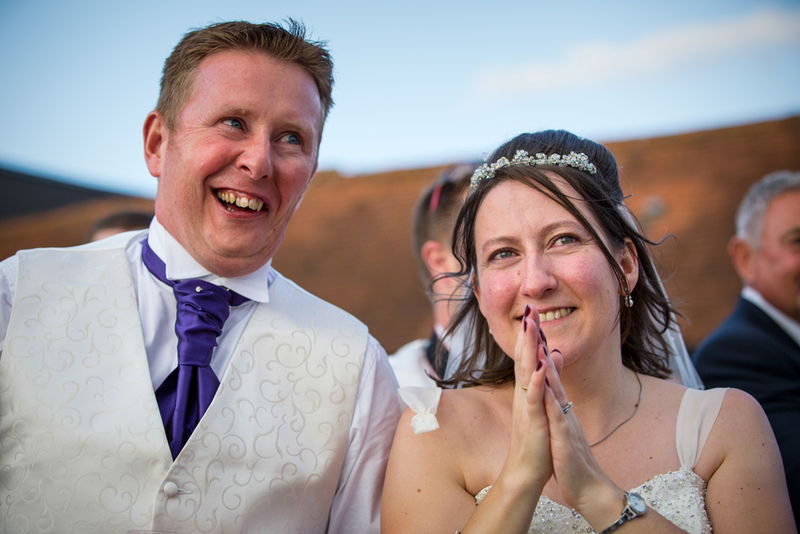 I love the expression on Colin’s face of pure relief & exhilaration – a man who has organised a surprise that worked out & his lady loved it!! 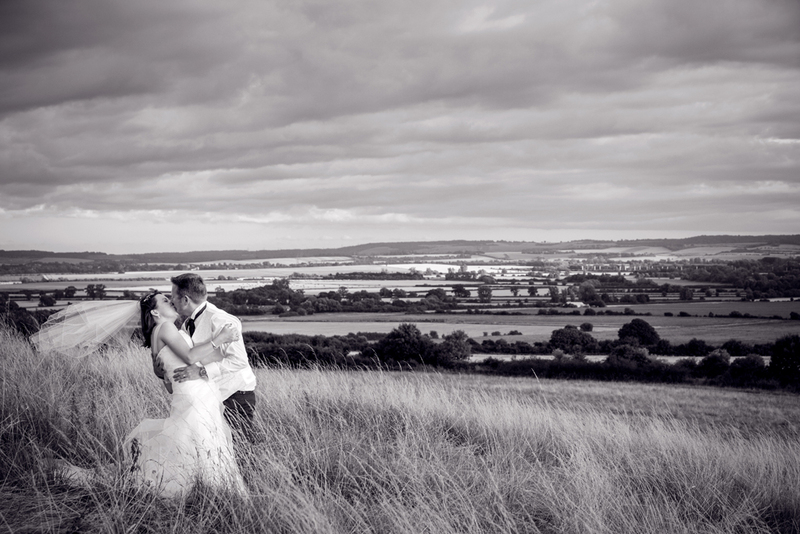 After the flight we walked up to Wittenham Clumps, a place very special to Sarah & Colin. 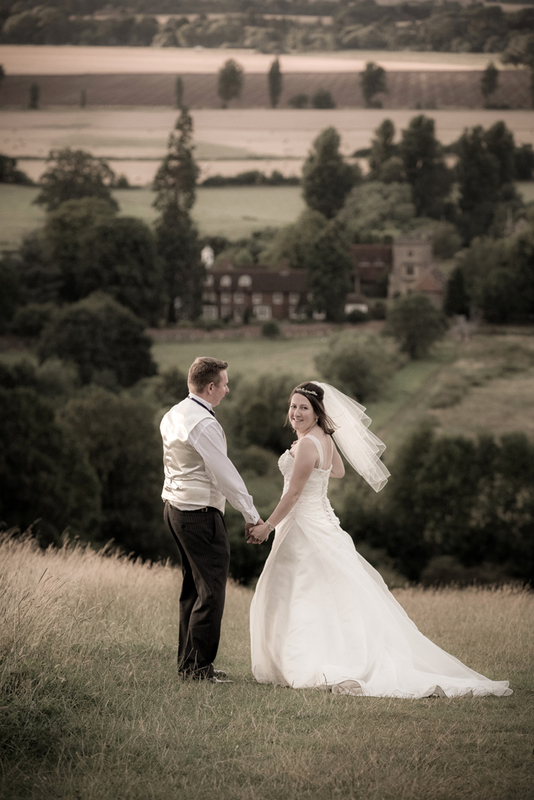 I am really pleased with the shots of them with Oxfordshire countryside stretching off to the distance. 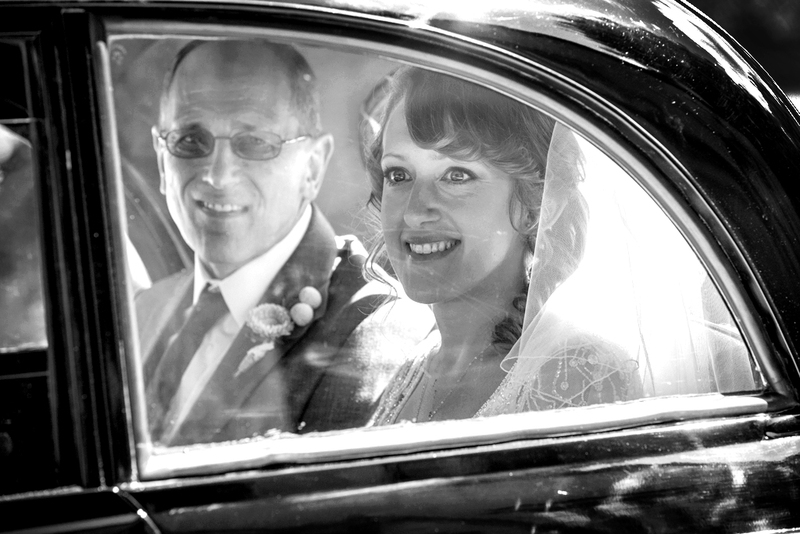 Congratulations Sarah & Colin. Hope you enjoy your sneak peek, wishing you every happiness.